a) Are there any structures outside defense range that you can snipe with just a single Beta Minion? b) What are the likeliest locations of Hidden Teslas and Mines/MegaMines set to air? 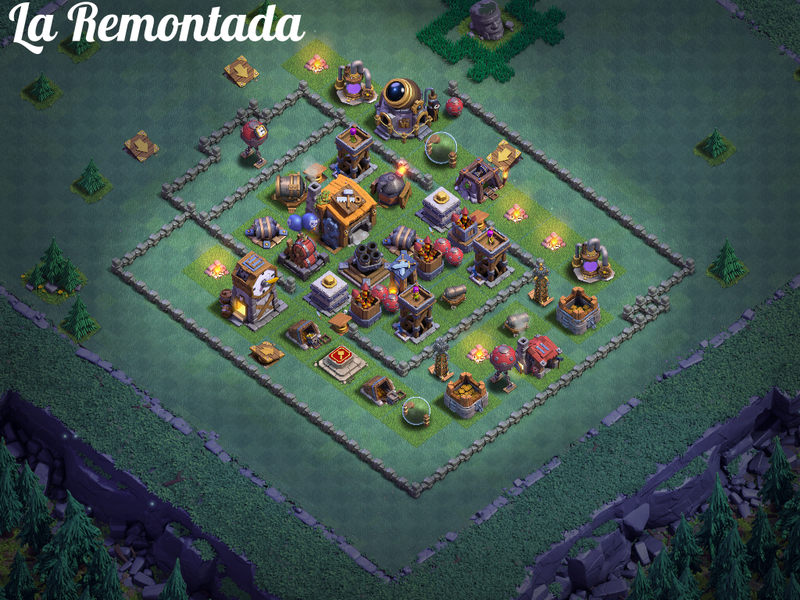 c) How are the air targeting defenses situated - AirBombs, Roaster, FireCrackers, and Archer Towers? d) What is the best approach for your horde - you'll want to avoid AirBombs and distract the Roaster with the Battle Machine. e) How much can you take down with the Long Shot ability? 2) Given the break down, snipe as many structures as you can. 3) Deploy the horde away from the AirBombs and Roaster (if possible). Drop the Battle Machine to distract the Roaster, if necessary. Sometimes, it may make sense to split your Beta Minions into two or three groups, but usually you're best to keep them together. Watch out for low HP structures that will go down quickly, splitting your horde in ways you may not want them split up. The simplest deployment is in an arc, across a corner of the base that is opposite the AirBombs. 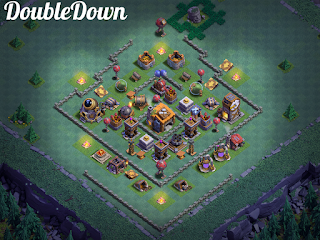 For Diamond bases, you'll either hit the apex of the base (if AirBombs are at the bottom) or come in from one of the sides. 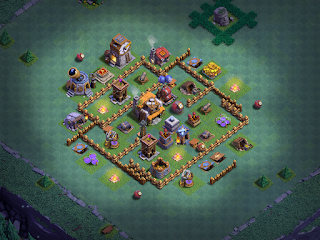 Box bases will typically be one of the corners as well, often the upper left or lower right, although it sometimes makes sense to come from a side if defenses are set up in a unique fashion. Psyberon has all level 5 structures (he was a fully maxed BH5 with level 4 walls). Using MBM, today, with the fifth Army Camp, I found myself getting nearly all two-star results and most were above normal. There were a couple in the 90s, two 100%ers, and others in the 70s and 80s. BH6 players really did not have much hope of competing - between the higher percentage and the additional structures, they were deep underdogs. In a few hours' time, I'd picked up 300 trophies. I also have FOUR (4) new base designs to share today. These bases are already in use and have proven themselves above 4000 trophies, so they'll do just fine for the masses who are coming over to BH7 in the 3000s, as well as some looking for alternative base designs above 4000. 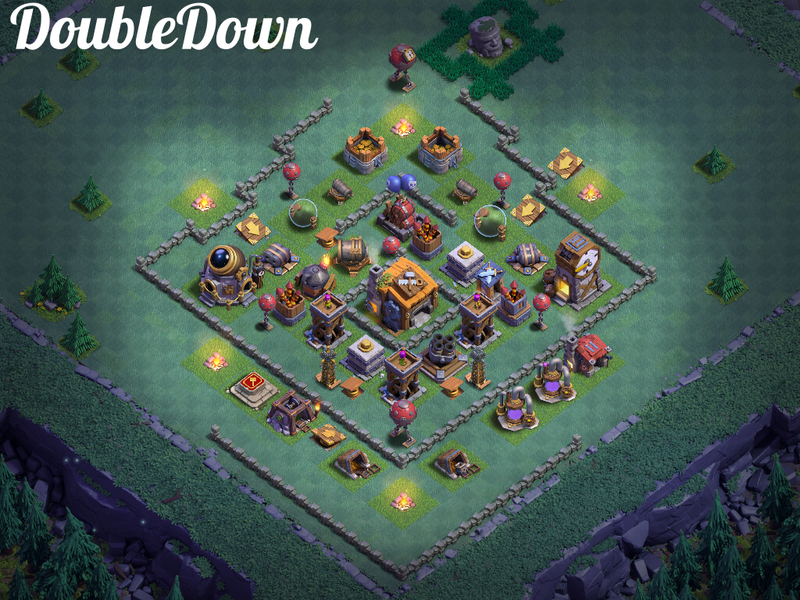 I've included stills of each below as well as a link to today's video, which includes replays and a discussion of the base designs. 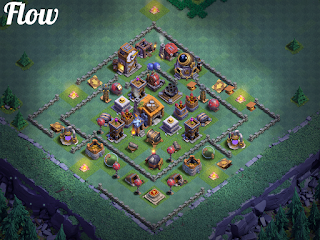 In a future article/video, we'll do a round up of all the new bases I pick up over this first week or two of playing. 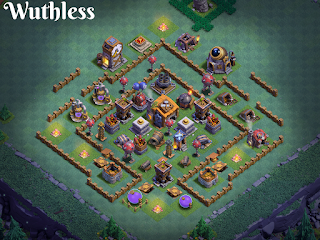 The "Wuthless" base comes from one of our forumers who is using it up at 4400 with great success. 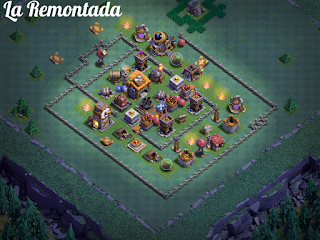 "La Remontada" is the global top clan's current common rendition. "DoubleDown" and "Flow" first appeared in YouTube videos then started working their way among players quickly. As always - adjust traps and mines to suit your preferences and keep things fresh. So far, there's no one "base to rule them all" at BH7. Each and every base has a weakness here or there, and they've al been beaten at one point or another by a skilled attacker. That said, the breadth and span of defenses, not to mention the way players mix things about on the bases, makes them difficult to simply two-star or three-star. 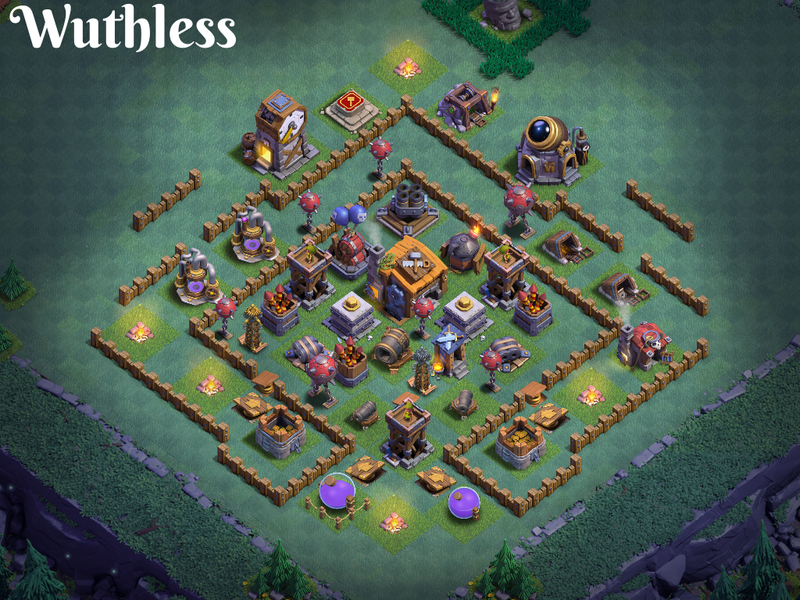 Like many players, I'll often look at bases up and down the leaderboards to see what's trending (it can be difficult to spot decoy bases, so watch out). There are definitely plenty of options to choose from! Here's the pics of the bases and the link to today's video!